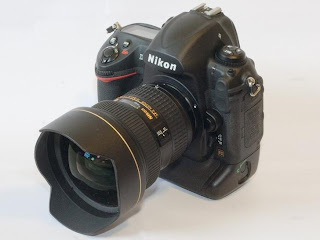 Technology Trends: Nikon D4 available from January 2012? Reports are suggesting that a new Nikon DSLR, the D4, is likely to start shipping at the end of January 2012. According to a post on NikonRumors, information suggests that the new camera will be ready for order and pick up at the end of January, meaning it would be available before Canon's EOS 1DX which was announced earlier in the year, but is only expected to be available in February next year. January sees the PMA at CES 2012 show, a large electronics show based in Las Vegas, which could be the perfect opportunity for Nikon to unveil its latest camera. The Nikon D4 has been anticipated for some time, with speculation around features building for several months. One thing that is repeatedly rumoured is a 36 million pixel "tweaked" Sony full-frame sensor. It's not yet known whether the D4 will be split into two lines, as the D3 was split into the D3s and D3x, or whether the camera will be a replacement for both models, in the same vein as Canon's 1DX merging the 1D Mark IV and 1Ds Mark III lines. It's also a possibility that the D4 won't be the D4 at all. The number four is unlucky in Japan, sounding close to the word for "death". Other manufacturers have skipped the number altogether in the past, so it'll be interesting to see whether Nikon follows suit.